We are honored to announce that we have received a $225,000 grant, to be received over three years, from Boston Children’s Collaboration for Community Health to support CFCS’s efforts to reduce the impact of trauma on foster youth through permanency. Each year more than 900 youth in Massachusetts “age out” of foster care with nowhere to go and no significant adult involved in their lives. Without a permanent family relationship to count on, data from the Adoption and Foster Care Analysis and Reporting System (AFCARS) confirms that in the 12 to 18 months after foster care, 27% of young men will be incarcerated, 37% will drop out of high school, and 50% will be unemployed. People who have “aged out” of foster care comprise 30% of the US homeless population. The significant trauma that foster youth have endured at the hands of prior caregivers, coupled with the trauma of lost family connections and an overall loss of permanent connections with caring adults, severely and negatively affects their overall health, well-being and meaningful chance for long-term success. Permanency is essential for every child to become a healthy adult. 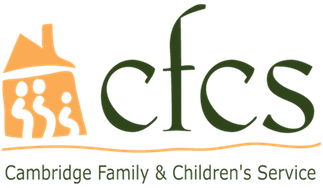 Through this partnership with Boston Children’s Collaboration for Community Health, we will work with foster children in the custody of the Massachusetts Department of Children and Families (DCF) and who are being served by CFCS in the Greater Boston area. The youth served will be ages 6 to 21 of all racial, ethnic and gender identities, including those freed for adoption, those with plans to reunify with family, and those moving towards alternative living arrangements. “These funds will help us deepen and broaden our work with young people in the child welfare system to ensure that when they leave state care, they have the family support and resources necessary to enable them to thrive as adults,” says Bob Gittens, our Executive Director. CFCS’s programming is based on our theory of change that “If we support all individuals and families to develop and nurture safe, permanent relationships, they will maximize individual growth and community participation.” This multi-year project seeks to significantly increase our capability to provide enhanced permanency-focused services and ensure that each youth can identify at least one caring, supportive adult to be a strong lifelong connection. CFCS firmly believes that an enhanced focus on permanency will significantly decrease the negative health and social determinants commonly faced by foster youth. Thank you so much to Boston Children’s Hospital! You can visit the Collaboration for Community Health website to read more about who they’ve funded and what other projects will be supported by this initiative.